Even though everyone needs a break during the summer, fun and informal learning should still continue. Our summer learning tends to revolve around the computer. 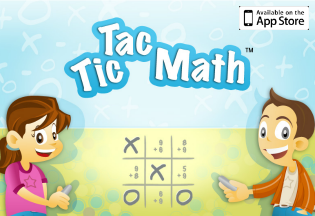 I find a learning program that will have them practice their math and reading skills in a fun way. This year I have one other goal for my oldest kiddo. He has mastered skip counting, but can only solve multiplication problems by skip counting. When you are solving three-digit multiplication problems, this gets very time consuming. So this summer, in addition to our computer work we will be focusing on our multiplication facts. 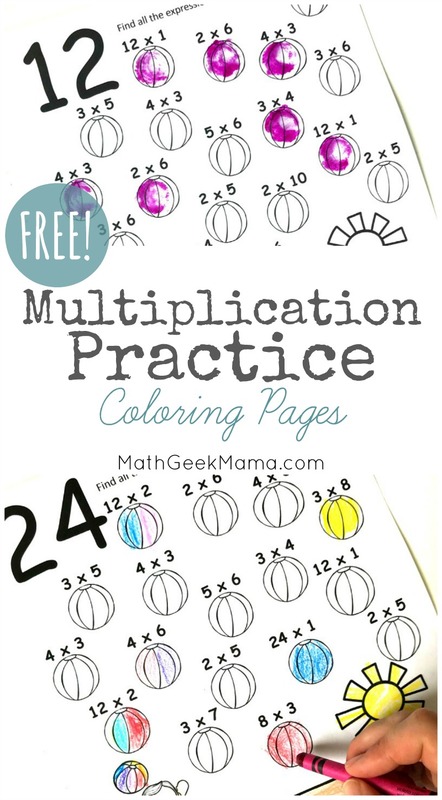 One thing I created to help is this set of multiplication coloring pages. *This is a guest post from Rachel of You’ve Got This Math. There are so many ways to memorize these facts, and it doesn’t have to involve flash cards…though if you child enjoys that, do it! Memorization requires repetition, and finding fun ways to repeat facts over and over is the key. Games are my favorite way to work on the memorization. They are fun and my boys will play them over and over. They are getting in that repetition without being bored to tears! 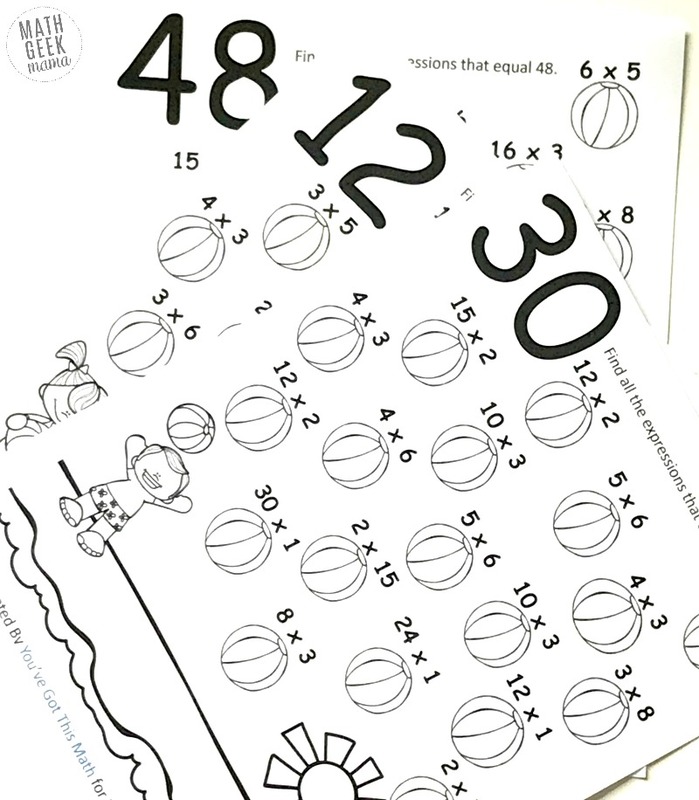 Task cards that are hands-on and visual are another fun way for our children that are Kinesthetic learners to work through multiplication facts. But I wanted to have other activities for my little man to work on too. 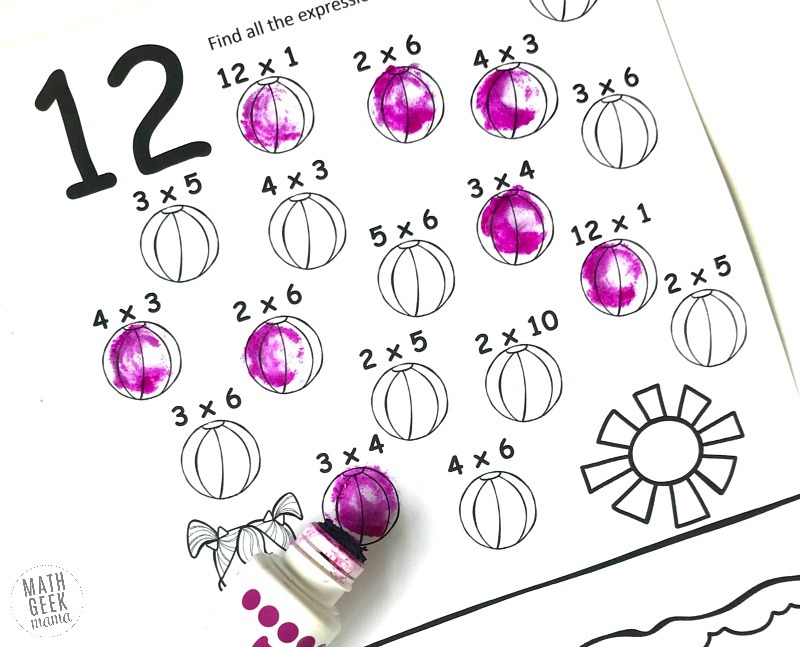 So today I’m sharing simple multiplication coloring pages. 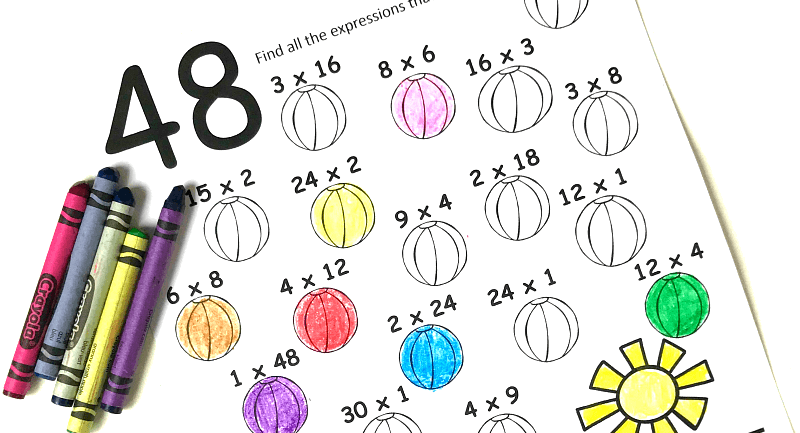 These multiplication coloring pages are truly no prep. First, print off the pages. Next, gather up some crayons or Do-A-Dot markers. And that’s it. You’re ready to go! There are five coloring pages for our kiddos to color. Each page has a number written at the top of the page. All the students have to do is find the expressions that equal that number. For example, one of the pages has a 12 at the top. So the students will go on a hunt for 12 x 1, 2 x 6, and 3 x 4. When they find them, the can either color in the beach ball or use a Do-A-Dot marker to dot it. You may be thinking there isn’t much to these pages. 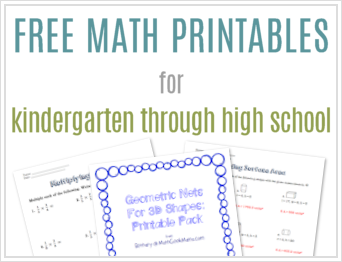 All I need to do is pass them out and they can work on their multiplication facts. 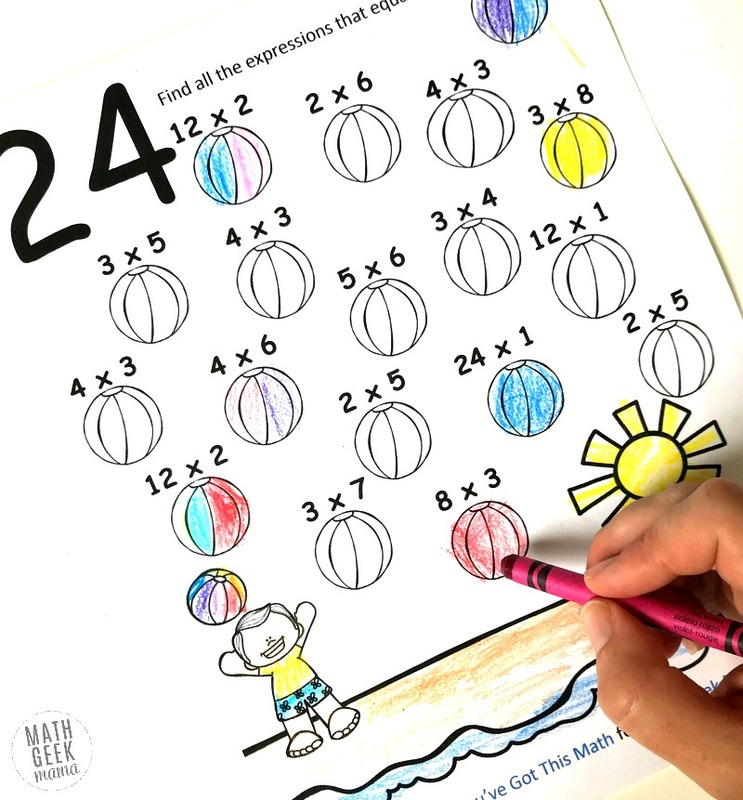 But here are a few concepts you can review or discuss along with these simple multiplication coloring pages. The commutative property basically states that order does not matter when you are adding or multiplying. You see a + b will always equal b + a. Or a x b = b x a. But this only works with addition and multiplication. 5 – 3 = 2 but 3 – 5 does not equal 2. 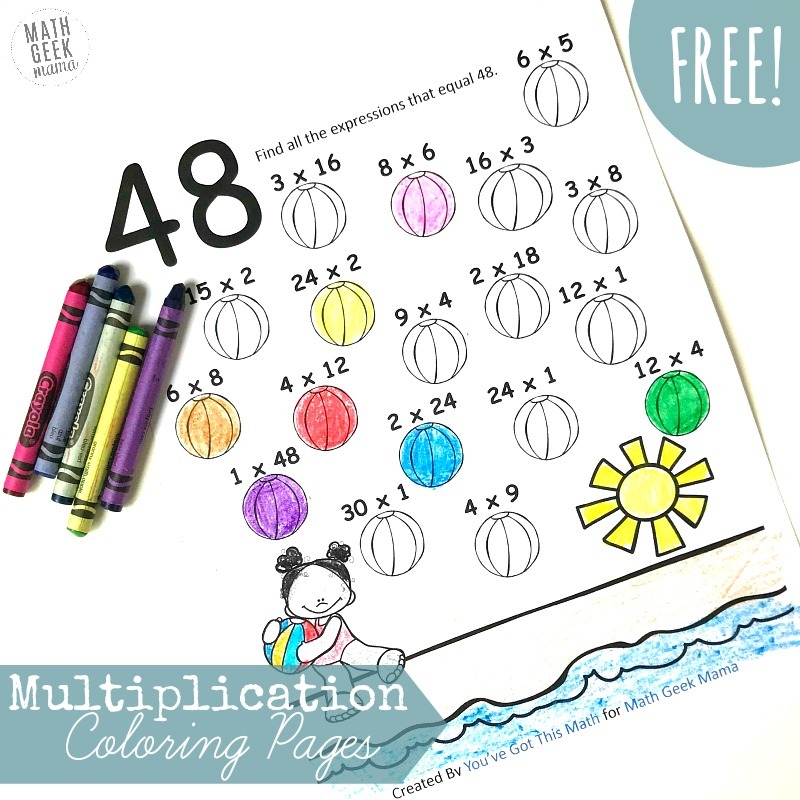 While coloring these multiplication coloring pages, the children will have an opportunity to see the commutative property. You can expand their math vocabulary by pointing this out to them before they begin, and even have them go on a search for some examples. Sometimes even the best of students will miss an expression or two that equals that magic number at the top. One way to prevent this is to have them list all the factors first. So If I’m working on 48, they would come up with all the numbers that can be multiplied together to get that number. We know that 1 x 48, 2 x 24, 3 x 16, 4 x 12, 6 x 8 all equal 48. So the factors of 48 are 1, 2, 3, 4, 6, 8, 12, 16, 24, 48. Listing those factors is another great way to get in that extra multiplication practice. 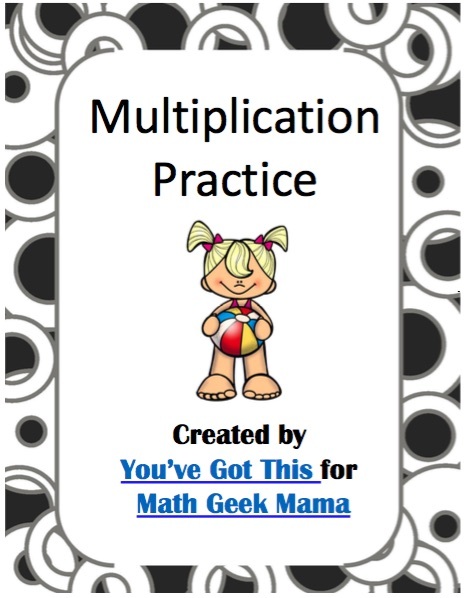 Enjoy this fun way of getting in a little more multiplication facts practice. Rachel is a homeschool mom to four little ones, ages 2 to 6. 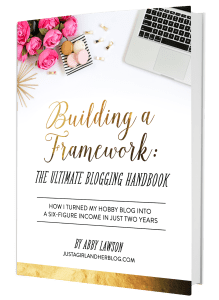 She is a former public elementary teacher, and has recently begun blogging at her page You’ve Got This. You can also find her on Facebook and Pinterest.